Whether you’re a designer, a business owner, or a communications specialist, you know that digital devices permeate the everyday lives of consumers. If digital marketing know-how isn’t already informing your brand’s overall marketing strategy, it should be! (To learn more about centralized brand strategies in general, check out this post by our CEO, Aaron Moore.) Staying on top of trends is imperative for successfully marketing your brand to your customers—but that’s easier said than done. 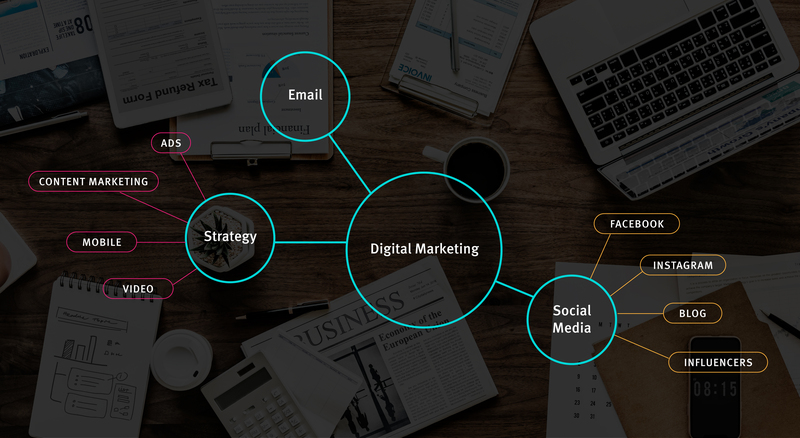 To that end, I’ve compiled some statistics on digital marketing, ranging from social media platforms to email campaigns, to help you effectively reach your target audience. People feel that ads are becoming more intrusive, and perhaps as a direct result, pop up blockers are becoming more prevalent and restricting access to consumers. Because of this, it’s increasingly important to find alternative avenues for reaching our audiences (and to reach them in ways they actually want to be reached—for examples, read about work on a digital integrated campaign for MedStar PromptCare). Alternatively, people feel that ads are telling better stories than they used to. This speaks to the value of content that emphasizes a story for users to connect with; relevant content creation is the best way for a company to boost it’s SEO. And as a bonus, content marketing has a much higher ROI than traditional marketing methods. In order to be successful, it requires a high level of audience relevance combined with excellent storytelling. When we look at HOW users are interacting with their media, it’s crucial to recognize the importance of mobile devices. With people accessing 69% of their media on smartphones, it becomes apparent just how important it is to design content that’s well-suited to mobile platforms. 57% of users won’t recommend a business if they have a sub-par mobile site. Most advertisers think they’re doing a good job, but nearly half of users disagree, meaning improvements can be made to most mobile experiences. And making those improvements is worth it! Mobile conversion rates are on the rise for businesses that take mobile UX seriously. A final takeaway on overall strategy: video. Video, video, video. 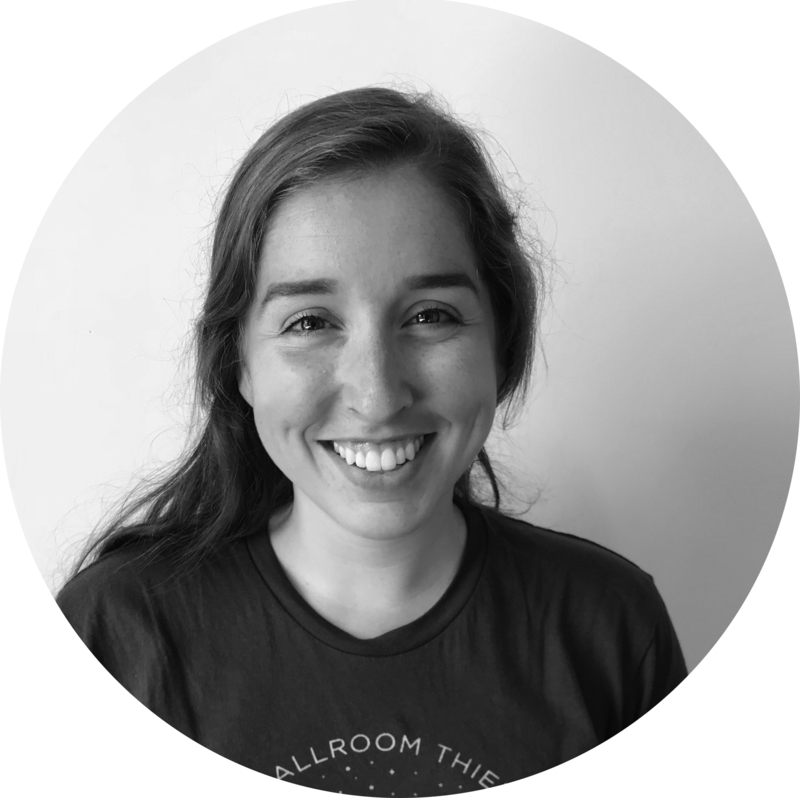 Photos, of course, make up a critical component of your digital marketing content. However, incorporating video can go even further in boosting engagement levels, conversion rates, and SEO. 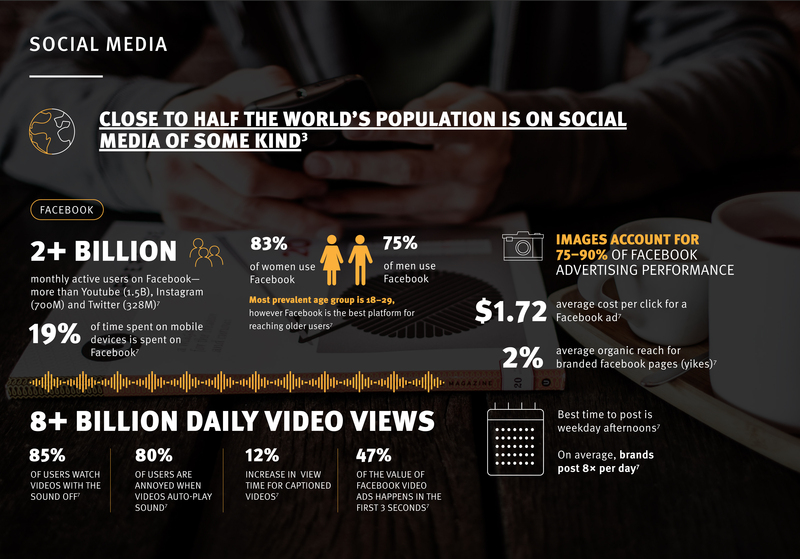 Close to half of the world’s population uses social media. That’s a lot of consumers. Facebook tops the social media hierarchy, with over 2 billion monthly active users and over 8 billion daily video views. (Learn about using animated videos in your digital marketing.) Because of Facebook’s ever-changing algorithms, organic reach for branded pages is dishearteningly low at 2%, but things like user engagement can help bring this up—and here’s where your killer content comes in. Social media is one place where knowing your audience becomes really important: while Facebook is the largest platform, it may not be the best platform for reaching your particular consumers. For example, Facebook is the best platform for reaching older users, whereas 59% of 18–29 year olds are using Instagram and may be more effectively influenced there instead. 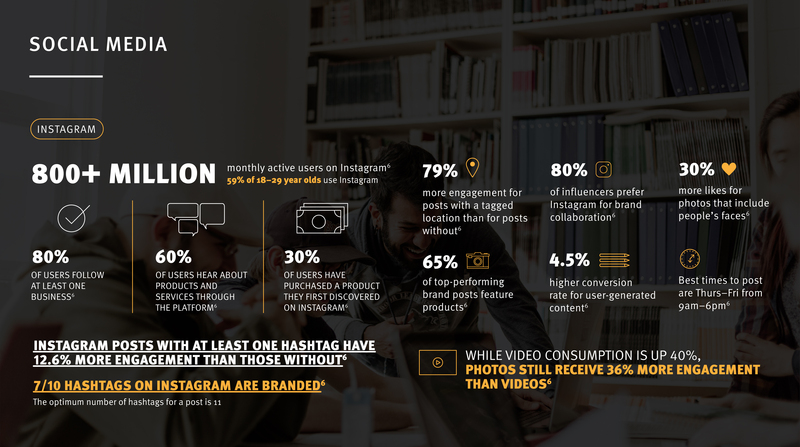 Instagram is a great option for branded content; it’s a place where hashtags, product posts, user-generated content, location-specific content, and influencer effectiveness all flourish. 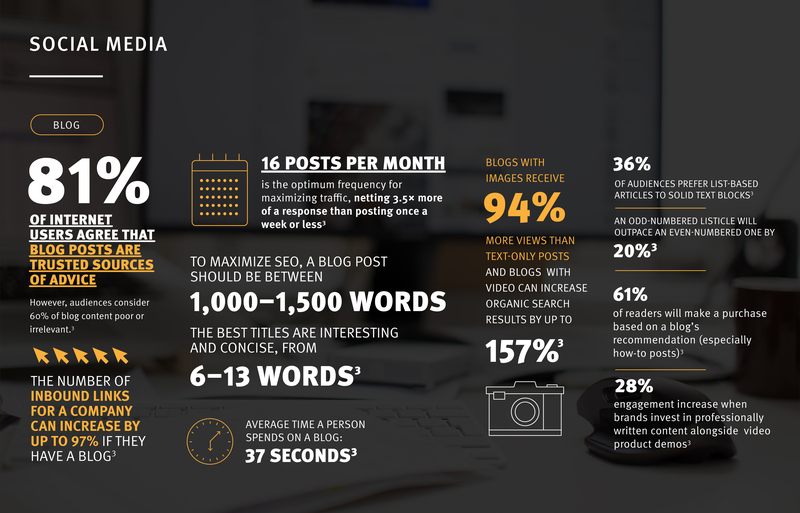 Does your business have a blog? If not, you should consider it. Not only do the backlinks create stronger SEO for your website, but blog posts have become a main source of information and advice for consumers. As such, your blog should provide value to your users. Post, and post often! Writing articles for your audience on your own blog can raise engagement as well as reinforce brand attributes via strong content. (there it is again: good content. Check out some of our ideas for getting the most out of content you already have.) Alternatively, having influential bloggers write about your product can also have a positive impact on your consumers. As a fast method for customer acquisition with a high ROI, influencer marketing plays an un-ignorable role in advertising. 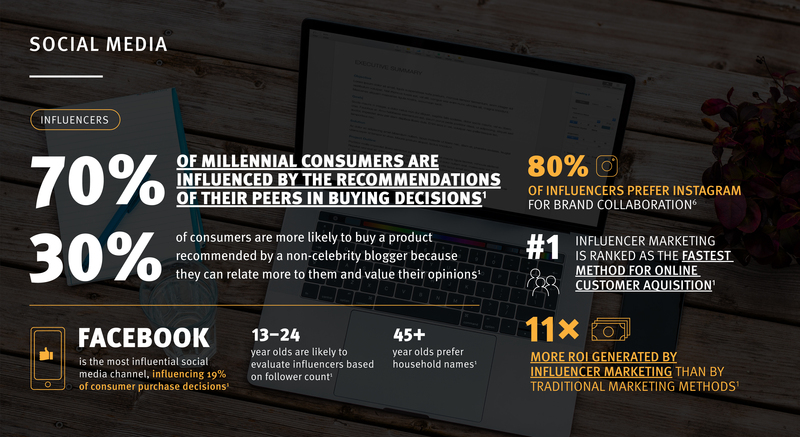 Millennial consumers are hugely influenced by their peers’ reviews and recommendations, and all consumers are more likely to buy a product recommended by a non-celebrity because they can relate to them. 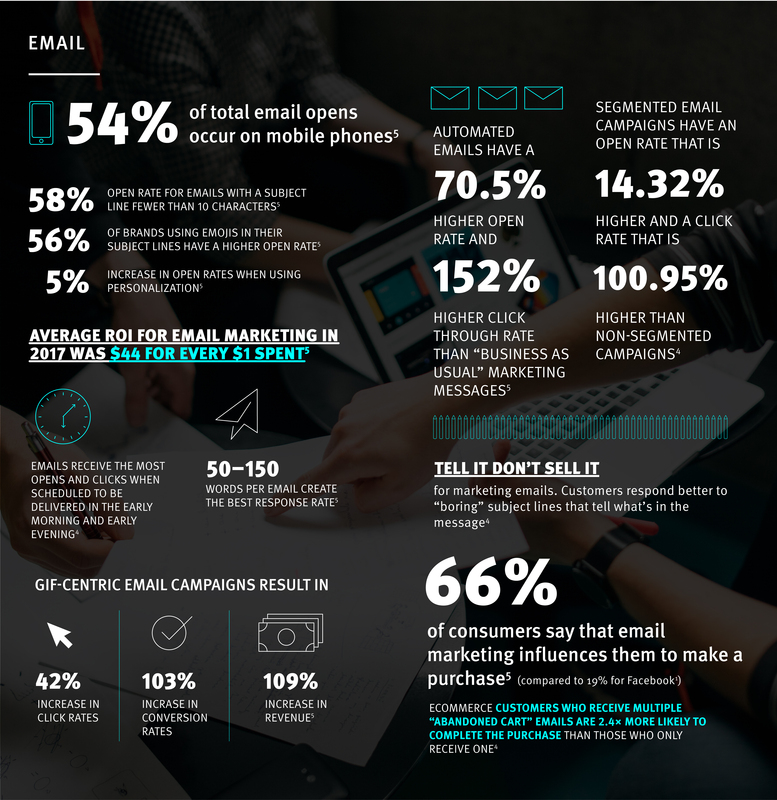 Beyond social media, email is a major player in digital marketing. In fact, email influences consumers’ purchasing decisions more heavily than Facebook and other media platforms. Putting time into your emailing strategy can have major payoff—the average ROI for email marketing in 2017 was $44 for every $1 spent. More than half of email opens occur on mobile phones, so make sure your campaigns function at mobile sizes. Automated emails that respond to a consumer’s situation have higher open and click rates than “business as usual” marketing messages; for example, customers who receive a few “abandoned cart” emails are much more likely to return and complete their purchase. Segmented and personalized emails are also more successful than non-segmented and impersonal campaigns. And of course, good, relevant content yields the best results, so make sure you’re writing what your consumers want to read! In general, mobile stats (clicks, conversions) are lower than those for desktop devices, but many people will find a site/shop/whatever on mobile and then come back to it on desktop to find more information or to complete a purchase. With that in mind, your users can’t come back to your site if they don’t open your email in the first place! Write brief, informative (rather than salesy) subject lines for a better chance that your message is actually read. 1. Invest time and resources into quality content generation. Create content that is relevant and valuable to your users, that they actually want to read, save, and share. Be a good storyteller. 2. Make mobile a priority. On email, on social platforms, on the web—people are interacting with your brand on their mobile devices. And bad mobile experiences hurt brands. Make your mobile experience an extension of your brand’s personality. 3. Use photos and video, and do it in a meaningful way. 4. Create an emailing strategy that incorporates automated messages, segmented campaigns, and great content, and then take advantage of it. 5. Get on social media, whether it’s one platform that targets your particular audience, or it’s a presence built up across several platforms, make sure your consumers can find you and get a sense of who you are. More and more, people care about the brands they buy from, not just the products they’re buying. Make your brand both strong and accessible through your digital marketing strategy!